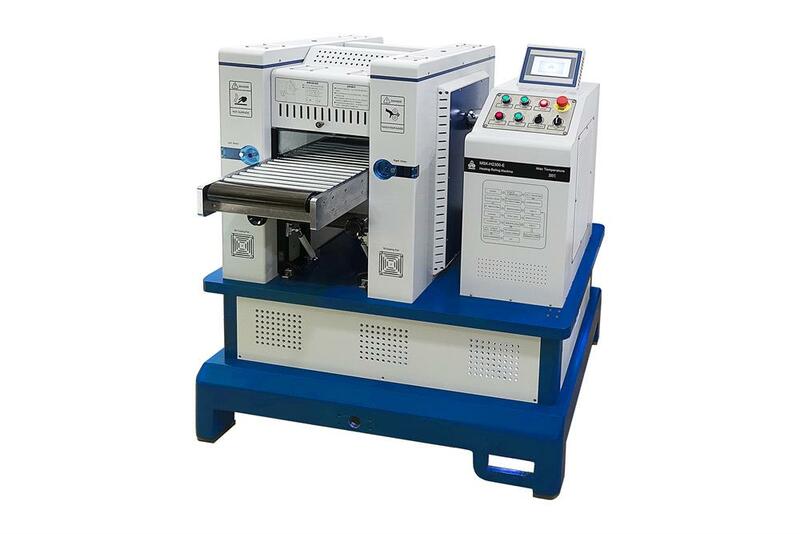 MSK-H2300E is an Electric Hot Rolling Press with max. working temperature of 200°C and Max. pressure of 15T. The 300mm wide rollers (HRC60) allows the process of various materials such as battery electrodes, plastic media, soft metal and composite foils. The built-in hydraulic pressure regulating system provides a stable pressure control over the entire calendering process. It is an ideal tool to increase the material density and achieve better surface quality. Featured patented electrical driven heatable rollers with accurate and uniform temperature control. Upto 200 °C working temperature. PLC control system simplifies HMI. Large touchscreen panel allows the control of pressure, rolling speed, temperature, and data logging. Hydro-pressure regulating system ensures stable pressure during operation. 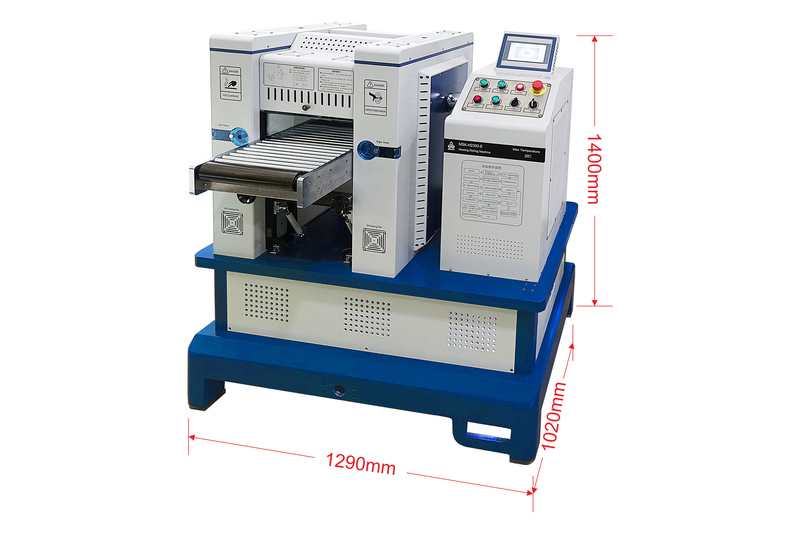 Rolling thickness is adjusted by stepper motors. The optional R2R system enables continuous workflow of sheet rolling out -> calendering -> sheet winding. 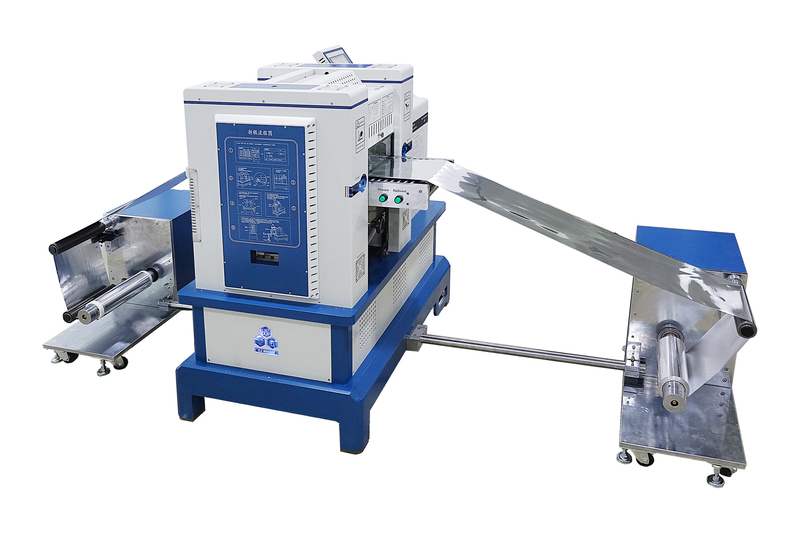 MSK-E2300RD R2R system can be integrated with the calendering machine at extra cost to enable the automatic film unwinding -> winding after calendering. Please click underline to view product details. NRTL certificate is available upon request at extra cost. Never calendering decrement over 0.02mm comparing with original sheet thickness each calendering. Heating beyond 200ºC will cause roller deformation may yield results with imperfections. In order to prolong the lifespan of the roller bearings, regular lubrication is recommended. It is not allowed to use any MTI product in any hazardous location, especially prohibit from using in Class I environments (flammable gasses & vapor).